While we have had the smaller chocolate eggs reduced to 75p recently, it’s the bigger ones a lot of people wanted for their family and some of these even come with mugs. 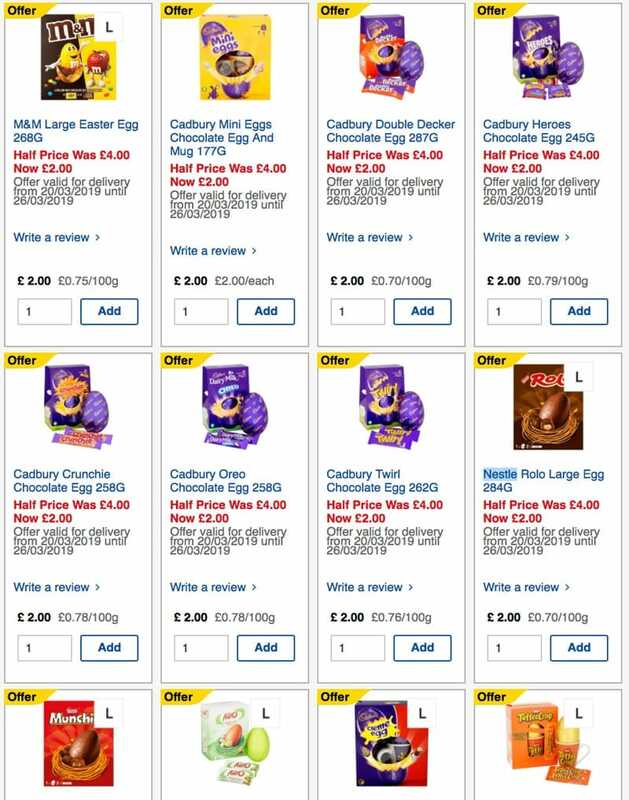 Tesco has today reduced their large Easter eggs to half price a whole month before Easter 2019! Prices dropped from £4 to £2 this morning for online orders with delivery from tomorrow, although those who prefer to shop in-store can get hands-on from 20th March. You can order for the reduced price with your groceries shop now online at Tesco.